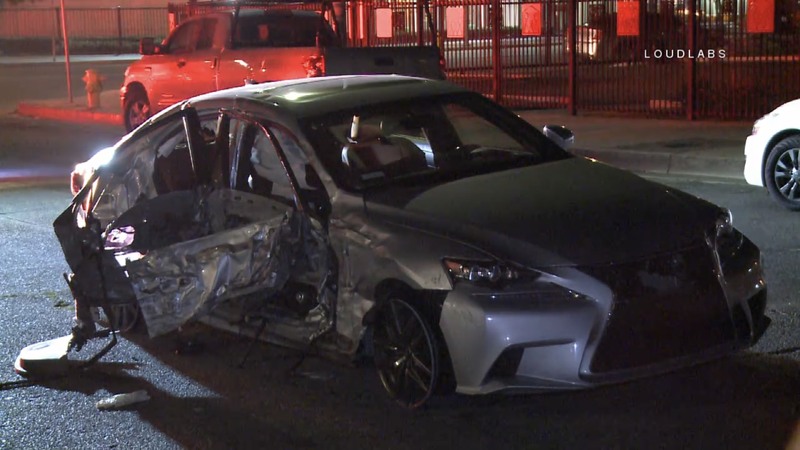 Around 0230 LAPD and LAFD responded to reports of a traffic collision on Cahuenga near the 101 freeway. Arriving units found a blue minivan that was parked on the street that had been struck. Per witnesses the suspect vehicle, a silver Lexus, had fled the scene before FD’s arrival. Additionally the witnesses stated that the victim in the back seat of the Lexus was not breathing. At 0254 LAPD VTD and LAFD responded to reports of a crash at 7227 N Lemp Ave. Arriving units found a silver Lexus with paper plates matching the description of the suspect vehicle in the Hollywood hit and run crash. Firefighters found the occupant in the back seat unresponsive, he was pronounced dead at the scene. The driver and front seat passenger were transported to a local hospital in moderate condition. The original crash occurred in LAPD West traffic division, but the vehicle was found in Valley Traffic area. It is unknown who is handling the investigation.